» Is my baby normal? » Is my pregnancy normal? The last few years have seen the development of new 3-dimensional ultrasound machines, which have the ability to collect 3-dimensional data and present them on a 2-dimensional screen. 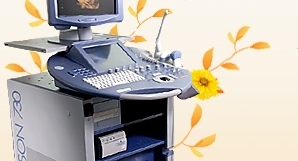 Although this method of imaging had been introduced more than 20 years ago, it is only in the recent years that the interest in 3D/4D ultrasonography applications has grown exponentially as performance of ultrasound machines improves and clinical experience accumulates. The objective of "3D/4D Ultrasonography: Its Role in Obstetrics & Gynaecology" is to educate its readers and familiarise them with the art and science of 3D/4D ultrasound. It stresses on the practicalities of 3D/4D ultrasound, where its readers can apply its principles to their own clinical practices. It promises to bring the reader from the basics of 3D ultrasound to the intricacies of the new 4D technology with practical applications in obstetrics and gynaecology. The book is in colour and has 126 pages in 5 sections. The first section deals with the technical aspects of 3D/4D ultrasound, followed by the applications in obstetrics and gynaecology, including a chapter 3D in breast ultrasound. A further section discusses the limitations of the technology and the newest innovation of the 3DXi. The book ends with a section on normal and abnormal 3D images in obstetrics.